HTTP/1.1", upstream: "http://127.0.0.1:6081/index.php/(...)", host: "(...)", referrer: "https://(...)"
I redacted it a bit to protect the innocent. The upstream is a local Varnish cache server. This one looked ugly as we didn't get any response, just a closed socket. Varnish is not exactly known for extensive logging (unless you consider being drowned in varnishlog barf as logging) and in this case it was no different. A request comes in, no response comes out and that's it. Let's bring out heavier guns. Thankfully, the bug was easily reproducible (just try to upload the file again), so this time I was ready with sysdig. Boom. 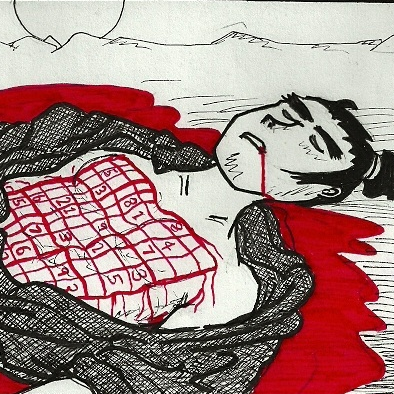 Death by SIGABRT, a modern form of Sudoku. The thread kills itself for some reason, probably it finds things are so broken internally that it cannot continue. I need a stack trace for this, so let's reproduce it in the staging environment. Actually, no, we won't as it works perfectly there. We should have swapped the machines (things always work perfectly in testing only to fail in production) and called it a day, but I ended up doing it the hard way. OK, a chunk of HTML from the uploaded file really shouldn't get parsed as a cookie. Whatever actually raised SIGABRT was only trying to limit damage (probably ran out of work memory trying to store a several-megabyte "cookie") and the bug was in the parsing code. See it in context on GitHub. Hey, sep is a pointer! Whatever it points to, it definitely won't be equal to ASCII NUL (it could be a NULL pointer but there was a check for this just above). This check was clearly bogus and if sep happened to point to a NUL character, we'd skip over it and start parsing whatever came next in memory, like a several-megabyte HTML-in-CSV document made of pure hatred towards parsers. The obvious fix (checking *sep instead of sep) didn't work (Varnish test suite caught some errors with it) but after a while I came up with a better patch that has just been merged.